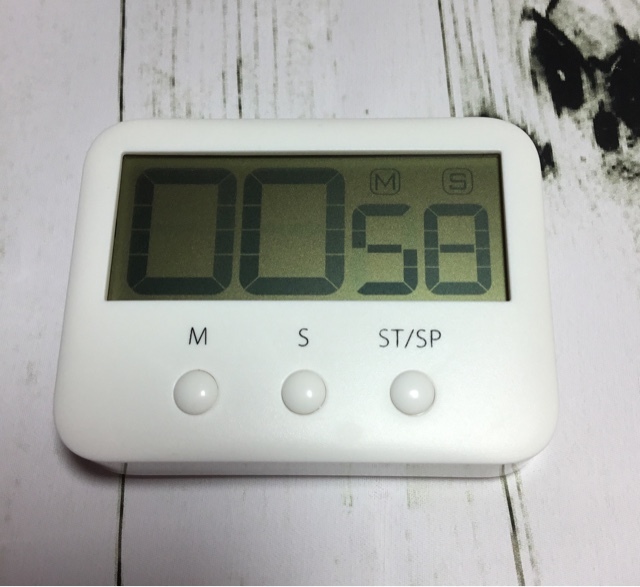 LARGE, CLEAR DIGITS: Elegant kitchen timer and can be easily seen from across the room. Comes with Dual Magnetic back & retractable stand. 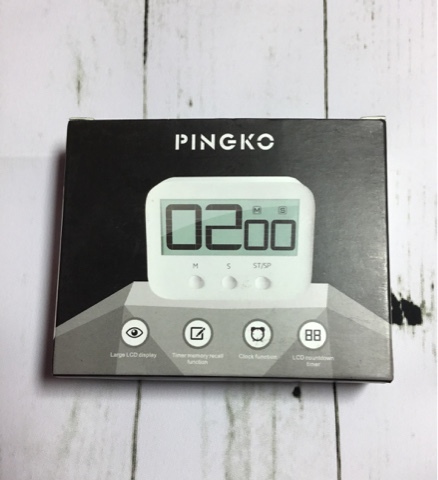 POWERFUL FUNCTION: Maximum time of the timer is 99 minutes, 59 seconds, suitable for a wide variety of applications.It is perfect for homework, exercise, gym workout, cooking (ie egg timer), sports, games and classroom timer activities. LOUD SOUNDING ALARM: Loudly and clearly but not deafening, easily to hear in another room. 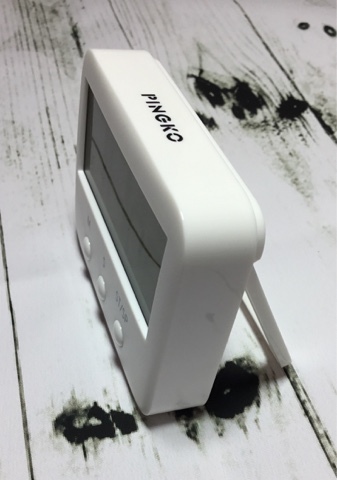 This is a great digital kitchen timer, I am very pleased with it. It does everything that it should do, and works really well. It feels well made, not flimsy or 'cheap' feeling. It's easy to work and comes with clear instructions, but I didn't really need those as the buttons were self explanatory. It takes one AAA battery, and I was happy to see that this is included with the timer so I didn't have to go and buy one. The display is large and clear. It's easy to read the time left, even from across the room. Although the display is large, the unit itself is not much bigger, so it doesn't take up much room on your kitchen counter. It looks stylish too - well as stylish as it's possible for a timer to look! The alarm is loud, plenty loud enough to be heard from another room. It's quite a nice alarm sound, not overly shrill or piercing, so it doesn't hurt your ears. You can use the flip out stand to prop up the timer on your kitchen table or countertop. Or alternatively you can use the magnetic back to attach it to your fridge etc. Due to the layout of our kitchen, the stand works best for us. This is a quality item, I think it should last us for many years. £6.99 is a great price for this timer, it is very good value for money. Five stars.